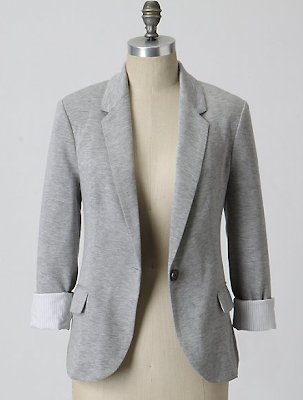 Not quite a sweatshirt and not as dressy as a blazer, it's the perfect slouchy jacket for Spring! Actually, it was Sarj who originally wanted these in a darker shade of gray. We saw racks of these in Uniqlo (and the cheapest of the lot at $39.50) but we ended up leaving the store with nada. I couldn't stop thinking about it and I went back a week later with the mission of getting one for myself and for Sarj, only to find out that everything was gone in our size! That's how hot these are! Now, I can only dream of wearing this with jeans or cut-off denim shorts. Sigh. Oh my! I like this. Boo, theres no Uniqlo here in L.A. well as far as I know. Must hunt for it. For some reasons I am loving gray. How come UNIQLO doesn't sell the clothes online in their website??? Loving the grey jersey jacket....i want one too! Raissa! I know right! So weird that they only have one here in NY! Uniqlo! Hello! Please expand! And yes Anon, they should sell online! Please please Uniqlo! So that I don't have to step outside the house! Hahaha! Lucky you Alana! I want one stat! I know I'm going to love it! hehe. i got the one from uniqlo HK in grey, white and black. 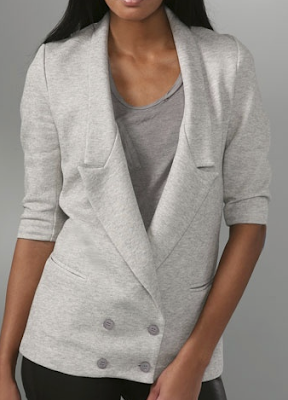 i loooove this jacket! Marieeeeee! No way!!!! You're so lucky! I'm jealous!!!! Great news everyone! Got this from my friend Trixie - we can order Uniqlo via phone or email!